"I have found my new favourite earplugs! These earplugs do an excellent job at attenuating sound. While it's a little difficult talking with other people at first, over time you become accustomed to how to adjust. 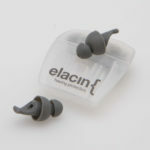 I would recommend these earplugs to friends who attend loud music events." "Very discreet design, great storage container." 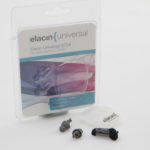 "These earplugs were good and come with a hand strap which help keep them around your neck and not lose them when not in use. 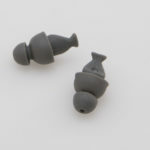 They are small and fit pretty well and let you enjoy the music without getting that ringing noise after a night out!" "Easy fit, lightweight earplugs. Takes away from the 'gig' sounds, sound quality not that great, but comfort and ease of use wonderful."